Tulsa Memorial Senior High School. Josh Henderson is a well-known actor, who played John Ross Ewing III in the Knots Landing spin-off "Dallas"(2012-2014). He is nominated for Screen Actors Guild Award for the outstanding performance in the comedy series "Desperate Housewives" (2006-2007). He is famous among teen as a singer for singing like Justin Timberlake and has performed songs like "The Jerk Song," "What's your name," "In my head," "Be Mine" and so on. Josh Henderson was born on October 25, 1981, in Dallas, Texas, United States. His mother is Sharon Lea Henderson and has two younger sisters, Hannah Henderson and Chelsea Henderson. Josh Henderson was raised in Tulsa Oklahoma and attended Memorial high school in 2000. He is the graduate student of Tulsa Memorial Senior High School. He was fond of playing baseball during his school age. Josh has a condition, "Heterochromia," due to which, his right eye is a blue and left eye is of green color. 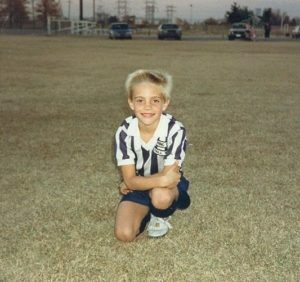 In the initial phase of the career, Josh used to participate in sports. He was athletic and compete in the second season of the WB reality show Popstars where he won a spot in the group "Scene 23". After that, with the continuous struggle, he became actor, model and also started a recording career. Josh appeared in Sitcoms like "Maybe It's Me," "Do Over," "One on One," "8 Simple Rules, for Dating my Teenage Daughter" and so on. His debut movie was a horror film, "Leeches," where he played as Jason in 2003, directed by David DeCoteau. He also appeared in Luke Greenfield-directed teen movie, "The Girl Next Door," as Pep Jock. In 2005, Henderson was cast in the FX drama series "Over There" in 13 episodes as Pfc. Bo Rider. Then, In 2006, he portrayed the role as Brett Dolan in the movie "Step Up" from which he became much famous for his role as a lover boy. He did lead roles in films such as "Fingerprints," a horror film as Penn in 2006, April Fool's Day as Blaine Cartier in 2008 and "The Jerk Theory" as Adam Dynes in 2009. He also recorded the soundtrack album for "The Jerk Theory" in 2009. Henderson starred in popular ABC Comedy-drama series "Desperate Housewives" from 2006 to 2007 as Austin McCann. After starring on the show, his identity touches the height of the fame. Later, he was cast as a lead actor in "Betwixt" as Nix Uyarak. He appeared as a guest artist in CSI: Crime Scene Investigation as Calvin Crook in an episode, Bloodsport. In 2011, he was called "break-out star" by the critics after he appeared in the lead character, John Ross Ewing III, in the TNT revival of the CBS prime-time soap opera "Dallas." Dallas was debuted on June 13, 2012. He appeared in the fourth episode of the series from 2012 to 2014. 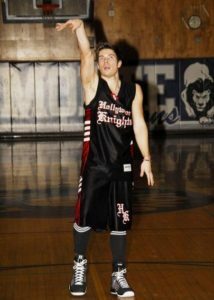 Josh Henderson possesses athlete body with a height of 5' 10" and got a dynamic look. He has been linked up with multiple girlfriends while studying his dating history. In 2006, he started dating Ashley Green, an American actress and model but the duo separated within a year. After the separation with Ashley, he started dating Paris Hilton in 2007. The two had a romance for a year, and eventually, their relationship turns cold, and separation confirmed in 2008. The handsome hunk does not remain single after splitting with Paris Hilton. He started an affair with Taylor Cole in 2008. They were together for two years. 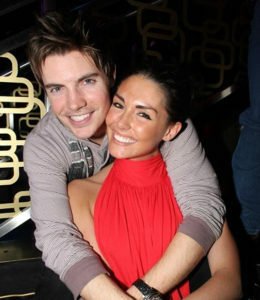 Josh Henderson with his ex-girlfriend Taylor Cole in 2009. In 2014, Henderson was spotted with Andrea Boehlke at Nautica Men's Spring 2014, holding each other hands like a couple. The love- birds, were usually captured together from Coffee Shop to Fashion Show together. However, they were not meant to be together and finally separated without any official statement. Josh Henderson and Andrea Boehlke attending a fashion show in 2014. Currently, he is possibly single and is not in an official relationship with anyone. He loves his mother and very close to her. He also enjoys traveling with his friends. His star sign is Scorpio and belongs to white ethnicity. The versatile actor from "Desperate Housewives" is ranked among richest celebrity. He has a various source of income like acting, singing, and modeling and thus is successful to accumulate an enormous amount of revenue. It is estimated that he earns $50 thousand per episode and his net worth is $ 2.5 million. Henderson owns a house in Malibu Beach, CA, USA.